Many people consider the establishment of Earth Day on April 22, 1970 as the formal launch of the modern day environmental movement. At a time of mass youth protest against the Vietnam War, calls for clean air and the elimination of leaded gas emissions and industrial pollution were dismissed as more idealistic nonsense advanced by the youth movement. However, the 20 million Americans who celebrated the first Earth Day gave voice to a national, environmental consciousness emerging across the generations. Now the largest secular celebration in the world, Earth Day is marked by over 1 billion people every year. As the effects of climate change make themselves increasingly felt, SSE’s Social Entrepreneurial Leaders Enabling Climate Transitions (SELECT) program is helping foster greater social inclusion, environmental sustainability, and economic prosperity while strengthening community capacity to slow the pace of and adapt to climate change. The impacts of climate change are unfairly and disproportionately experienced by those who contribute least to the problem. For example, racialized communities are statistically more likely to live in poverty, consume less, and therefore emit less pollution. However, these communities experience heavier impacts from extreme weather while accessing fewer resources to build meaningful responses. #SELECTcc believes that we can change this reality. Through an unlearning process, we can come to see that stopping and reversing climate change offers an opportunity to create new, dignified employment for everyone. In honour of Earth Day 2019, the SSE community is running a series of events to mark the observance of Earth Day at a time when a new consciousness of #greenequity is needed more than ever. 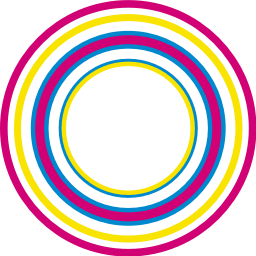 We hope as many members of the SSE community can join us in giving rise to a more expansive and inclusive environmental movement. Your wedding is a meaningful event and you are probably choosing every little detail with intention. 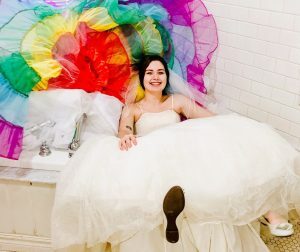 By taking the Green Wedding Challenge you can celebrate your love for each other and the planet. In addition, each participating couple will have a chance to win a one-on-one Wedding Dance Lesson for two with Dance Together Project! Take the Challenge here. The #planetlove project is an interactive art installation to be held at the #Hashtag Gallery that celebrates our planet. We invite viewers to rethink their relationship with the planet from one that sees the planet as a resource to one where we co-exist with the planet as a fellow being. Behind #planetlove are Lubna Mousa, an Iraqi-Canadian visual artist, and Kim Foster Yardley, a South African born visual artist. Both are based in Toronto. They collaborate in their passion for the environment by raising awareness of the impact of climate change and the urgent need for earth rights. Learn more here. 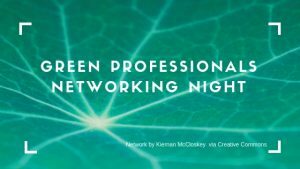 The #GreenEquity Professionals Networking Night is pleased to host our next gathering. We hope you can join for a viewing of the #planetlove interactive art installation and a discussion about advancing #greenequity in the public service. Meet other individuals working to make our city, province, and country more sustainable, inclusive, and prosperous. Light refreshments will be served. Register here. 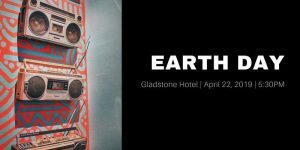 Come celebrate Earth Day urban-style at the Gladstone Hotel Ballroom! The Party features The Upcycling Marketplace, Food and Drink, Live Performances, and a DJ. Register for the celebration here. Walking, biking, and other active modes of transportation are affordable travel options that contribute to improving health, creating community connections, reducing pollution, and moving more people efficiently. Yet for too long, plans for improving the convenience and safety of active transportation have overlooked the needs of racialized suburban residents. Let’s change that. 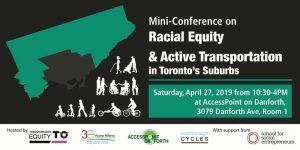 Join us to hear from racialized citybuilders working with suburban communities on building a network of transportation equity enthusiasts and increasing representation of racialized, suburban citybuilders in active transportation discussions. Register for the conversation here.